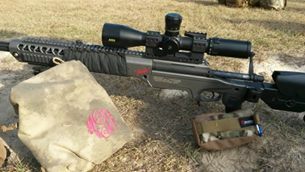 “Jake” my custom built Ashbury Precision Ordnance 6.5 Creedmoor rifle with Bushnell Elite XRS 4.5-30 scope, Armageddon Gear rear bag and Wiebad arm bag. 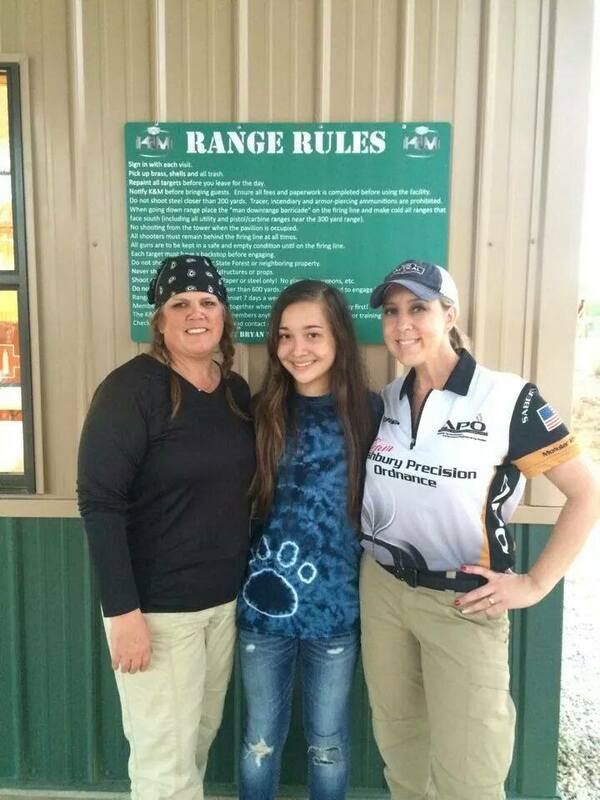 I LOVE shooting matches down at K & M shooting Center. Whether it’s a two day or one day match, this facility and people that surround themselves there, never disappoint. The match day started at 9 am. We arrived pretty early (around 8:30, lol) and got our day started. I work for Armageddon Gear so it was only fitting that I brought some gear with me in case anyone forgot something. Our AG competition data armbands was a huge hit and I sold out by the end of the match. I love these armbands! Most stages you will have multiple targets at different distances, so these armbands are a blessing on these stages. You write your DOPE on the board so when you are running through your stage you can dial quickly. 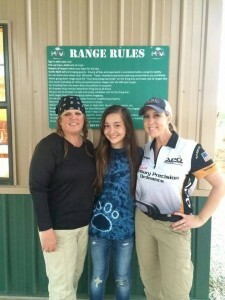 Of course, my trusty sidekick and badass custom Ashbury Precision Ordnance competition rifle “Jake” was with me. I love this rifle so much and not just because he is so accurate, I’m extremely comfortable with him and know that he will perform flawlessly. 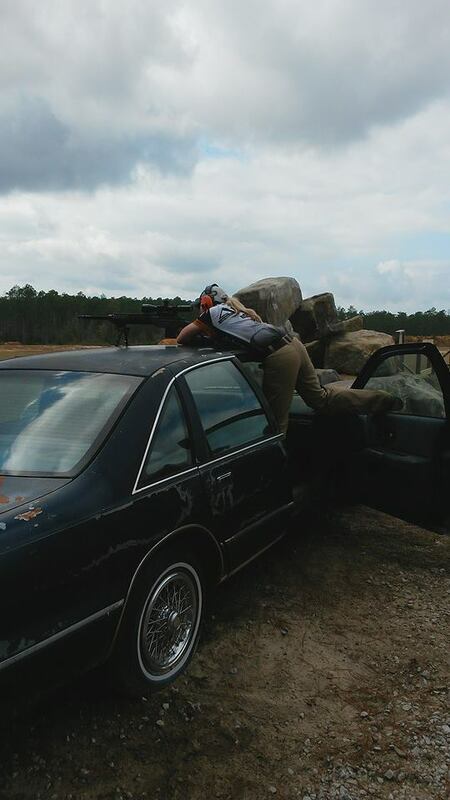 On top of Jake is my favorite Bushnell Elite XRS 4.5-30. This scope once again proved itself in a couple of stages during this match. The match started at 9 am with a 300 yard cold bore. After the cold bore, we all formed 4 different squads. My squad consisted of some really great shooters and everyone was so much fun to be around. The game plan was to shoot 4 stages before lunch, break for lunch, then shoot 4 stages after lunch. All stages were 2 minute stressors, which means you had to complete course of fire within 2 minutes. My squad started with the stair step barricade. You had 5 different positions with one shot from each position at approximately 550 yrds. The difficult part about this was getting into the positions. This is one of the huge reasons why I love these matches, they are so challenging. You challenge yourself as well as your skill. Stages such as this one is where the Wiebad bags really help out! The next two stages were located at the 800 yrd range and the tower. The first stage had an orange barricade. You had to shoot support side prone (which means if your right handed, you started with your rifle in your left shoulder using your left eye for the scope). You had one shot at 350 yrds, then you had to hop, jump or roll to the right side of barricade and shoot unsupported at another distance. We all got a kick out of my Husband because he did some “tactical” rolls between the positions! There were 2 other stages to complete before we broke for lunch, one being the car stage. You could not touch your elevation turret and you had to do holdovers. 3 shots from the hood, top of car and back of car at 250 yards, 350 yards and 735 yards. You could only shoot each target once. I approached this stage and just left my turret dialed at 0. 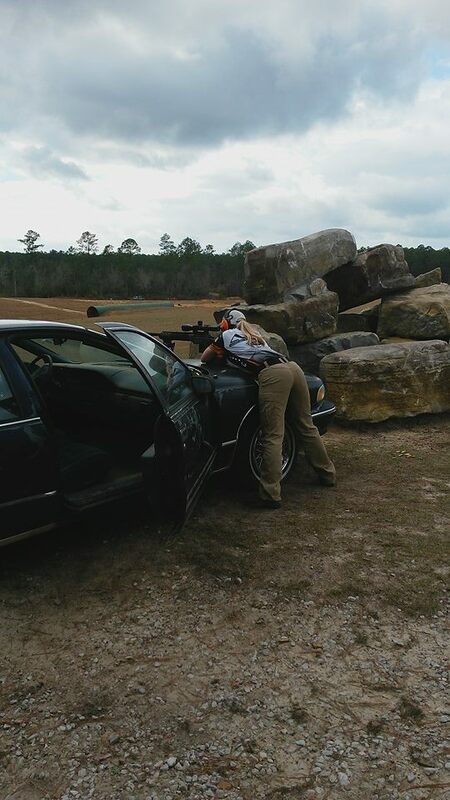 I wrote my holdovers on my AG Competition armband and when I got up to the stage, I just used my reticle. 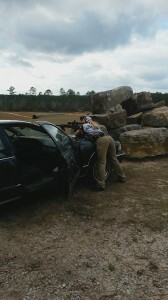 I absolutely LOVE my Bushnell Elite XRS. The G2 reticle is so easy to use and I get so excited doing holdovers using my reticle. I was extremely confident using my scope and I did well on this stage. Misty Morgan and crew really outdid themselves at lunch. Everyone loved the grilled bratwursts, chips and cookies! Everyone doing all the behind the scenes are greatly appreciated. After lunch, we all squaded back up and hit up the 4 other stages. My performance in my afternoon stages were a lot better than the morning. I don’t know if it had anything to do with the white Monster energy drink I had or if I was determined to try to beat my Husband, but I was really focused on the task at hand. There were a lot of new shooters out competing so it is always a pleasure to try and get to know people and help them out as much as you can.